Grocery shopping is something that must be done, but why spend more money than you need to? If you get too comfortable in your grocery store, you develop habits that can end up costing you more money than you might think. Take a look and stop falling into these traps! When you walk into a grocery store without a budget, you might as well consider yourself broke. It is SO easy to buy groceries until your wallet is empty. If you’re serious about lessening the amount of money you spend on groceries a week, you NEED to set a budget! Then take it to the next level and only take that budget in cash and use a calculator to stay on budget. JUNK FOOD—it is eating your grocery money. Junk food might be delicious, but it is nothing but empty calories. I limit myself to buying 1-2 things a week for the family. However, if you don’t get this grocery shopping habit under control, it could continue costing you big money. You can try my weird grocery shopping trick that saves me $100 a month or more. This should help combat this habit!. Why are you wasting your time grocery shopping without looking for the best deals? Grocery stores post deals every week, just make sure you’re taking advantage of these deals. Don’t forget that you can look online for daily grocery store deals. It’s amazing how many excellent deals these grocery stores have. It's easy to get into the habit of buying the store brand cause it's cheaper and get ‘price blind' to if it REALLY is cheaper or not. Watch for sales on other brand and make sure the net weight doesn't change, changing the price per unit. If you haven’t tried meal planning, you’re totally missing out. In fact, not meal planning is a grocery shopping habit that is costing you big money. You are basically going to the store each week without a plan. YOU NEED A PLAN! Meal planning seriously takes less than an hour a week. Sit down, plan out your meals, and watch how much money you start saving. See how I menu plan. Although you may feel like you don’t have the extra money to stock up on groceries, it’s a big mistake not to. Let’s say canned goods are on sale for 35 cents one week, for a saving of 50% if you double the amount you buy you can save money not buying canned goods next week. Then use that money to stock up on something else. You could literally be saving hundreds of dollars by stocking up on the items that are on sale. Of course, you’ll want to make sure you’re not buying something that can quickly go out of date. 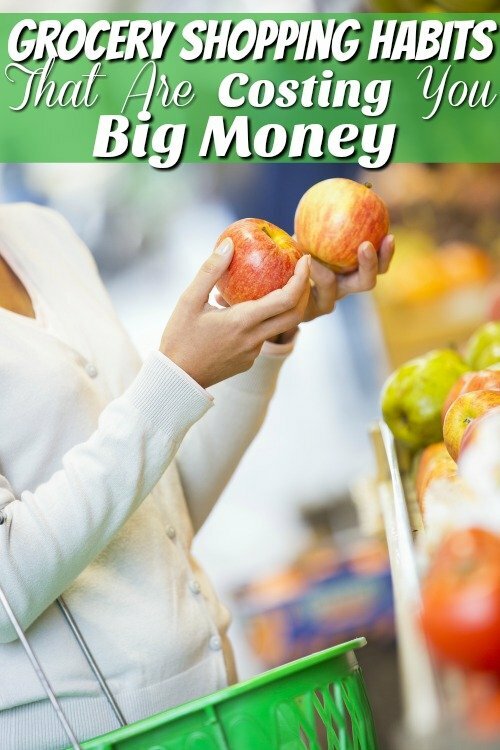 If you have a few bad grocery shopping habits that are costing you big money, have no fear. You can quickly learn from your mistakes and move on. Don’t let a few mistakes slow you down! Make sure you are using sites like Ibotta and Checkout 51 for rebates on items you are buying anyway! 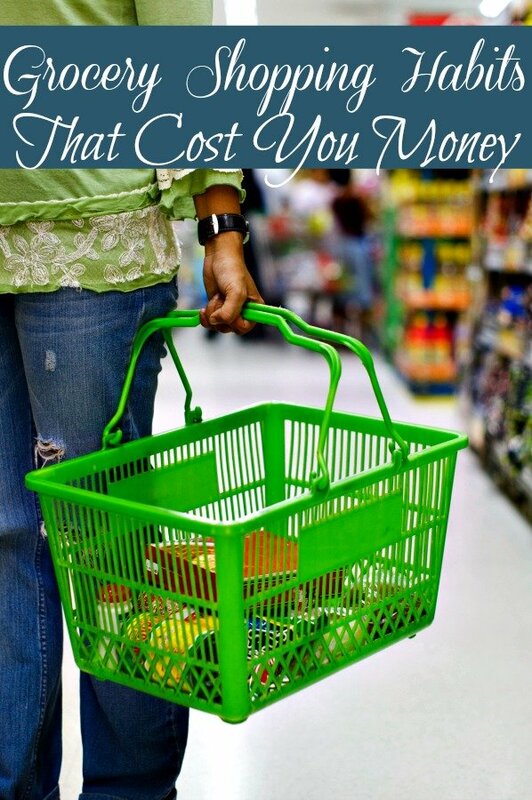 If you want to know more about how I save money while grocery shopping, check out these posts. I Like saving money on my grocery list and l like the great points you have shared here. I always meal plan my meals and it help a lot. I also like to go grocery shopping with a list. If I go without a list I tend to shop aimlessly and end up with waste.